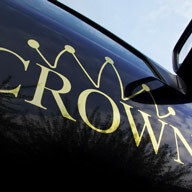 At Crown Air Conditioning we take pride in giving you the very best service possible at all times. Whether you’re a business or domestic customer, large or small, our trained engineers will always carry out a full site survey to deliver a bespoke solution tailored to your needs. We install a wide range of high quality systems sourced from reputable manufacturers and offer a warranty and maintenance service to ensure your equipment is running effectively. We also offer a portable unit hire service to give you complete flexibility. Above all we’re here to help – please contact us if you’d like to learn more about our product range or just want some general advice. Requirements can vary hugely between customers, so our trained engineers are on-hand to help you find the best air conditioning solution for your needs. Whether it’s a wall-mounted, floor, cassette or ducted system we will do our best to plan and carry out the work with minimum disruption. In fact, we even offer an out-of-hours service, working in the evenings or at the weekend to minimise disturbance to your business. For your peace of mind we use only the best-quality products from reputable manufacturers including Daikin, Mitsubishi Heavy Industries, Mitsubishi Electric, LG and Fujitsu. All installations have a three to five year parts and labour warranty provided the system is serviced and maintained by us for the three year period. We install all types of ventilation equipment from heat recovery systems and large air handling plant to small supply and extract air systems. 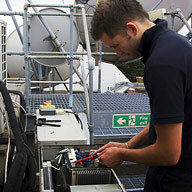 Service and maintenance is an essential requirement for all air conditioning and ventilation equipment. Planned Preventative Maintenance (PPM) is beneficial in many ways. Properly maintaining your system helps to combat the natural build-up of dust and bacteria, which will cause bad odour and poor air flow across the system. This will then lead on to poor performance, higher running costs and then failure. 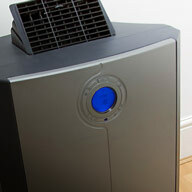 Even if we didn’t install your system we will be glad to carry out repairs or your general servicing needs. Our engineers work to schedules and check lists to ensure every system is serviced and maintained thoroughly. Whether you want an annual contract or a one off service, we will tailor an individual schedule to suit your own needs and budget. Maintenance Contracted clients can enjoy the benefits of reduced labour charges and guaranteed call out response times. We offer a four hour callout response time for all critical cooling systems such as server rooms, communication rooms, wine cellars and for all other Air Conditioning systems such as comfort cooling and ventilation we provide an eight hour response time. Of course, not everyone needs an air conditioning system full-time, so we offer a portable/hire service to give you complete flexibility without compromising on quality of product. Our experienced staff can help to assess your specific requirements and recommend the product that suits your needs best. We have a range of rental packages to ensure you get the best possible value from your equipment hire with us. To learn more about portable units and our products/service range, please contact us.